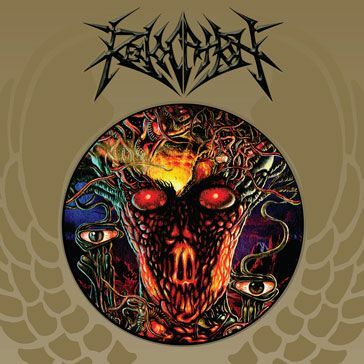 REVOCATION - REVOCATION VINYL (2LP BLACK) | Online Shop | Wizard LTD. Album: "REVOCATION VINYL (2LP BLACK)"
One of the most exciting modern metal bands on the planet, REVOCATION return with their fourth full-length and most mind-blowingly impressive album to date. Displaying an unprecedented level of musicianship, the quartet shred and slaughter their way through ten insane tracks of guitar wizardry, stunning dexterity and next-level songcraft. This self-titled masterpiece combines all of the band&apos;s trademark elements and cranks them up to 11. Thrashing, virtuosic melodies, top-notch technical drumming and an all-out vocal assault take the listener on a lightning ride through the hallowed halls of heavy metal. REVOCATION have proven that they are here to stay and miles above their peers.